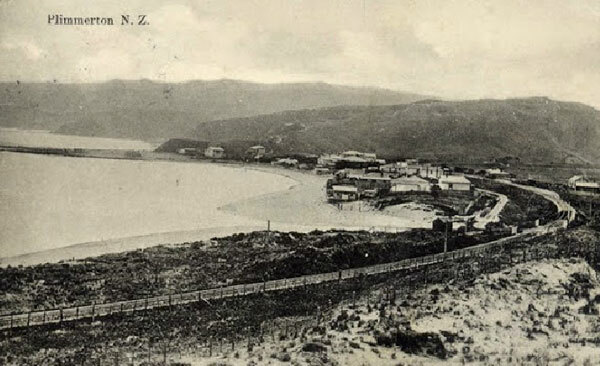 Postcards have been used in New Zealand since 1876. Initially they were pieces of card with pre- printed stamps and Government Arms on one side and the words ‘The address only to be written on this side.’ Messages were written on the reverse side. 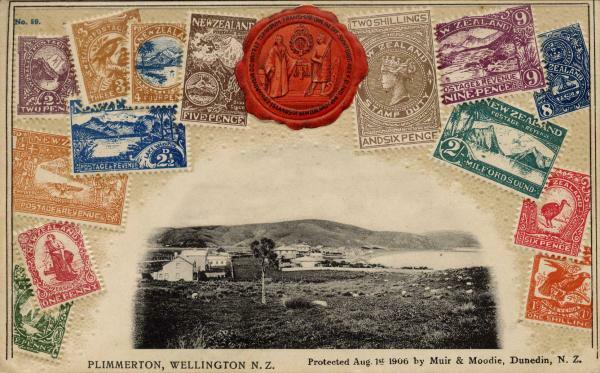 In 1897 NZ Post and Telegraph office followed overseas procedures issuing pictorial postcards for the first time. These later postcards were, and continue in general to be, about 10 percent bigger than the first commercial message cards. 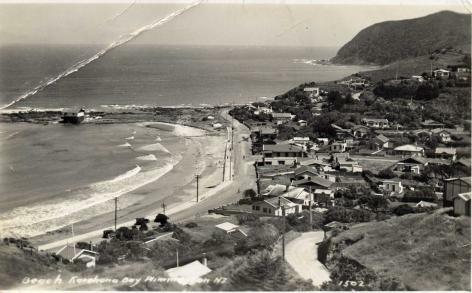 Drawings of four NZ scenic sites were used initially and, after a slow start, other postcards were published using photographs of sites around NZ. 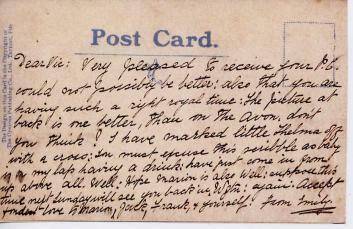 People enjoyed collecting the various postcards which steadily improved in standard and, in due course, vivid colour. 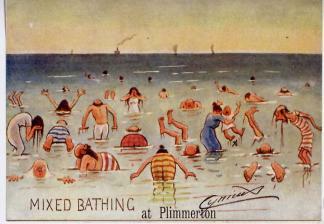 In 1908 eight million postcards were posted within NZ, yet the population was only around one million people. And, there would have been millions more that were sent without being formally posted. The telephone was not yet popular, or available, and in cities there may have been two postal deliveries each day. World War 1 slowed usage greatly but demand picked up again with the development of real photographs on one side. Some eras had prolific postcard publishing but nothing compared with the craze in the decade between 1905 and 1915. 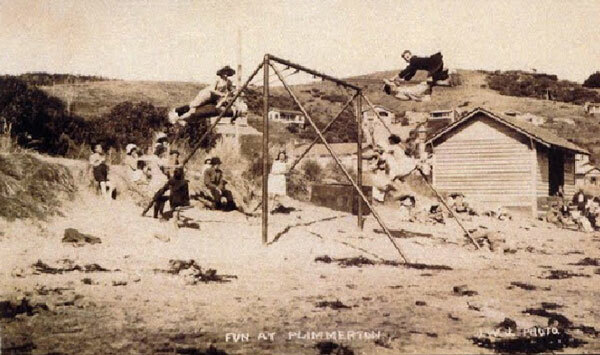 S C Smith began taking photographs of Plimmerton in 1909 and continued publishing them until at least 1949. In the 1920s photos of fifteen distinctive sites were used and are a large part of the pictorial records of the suburb. J W Johnson was a local shopkeeper in the 1920s and acknowledged as one of five elite Wellington photographers at the time. 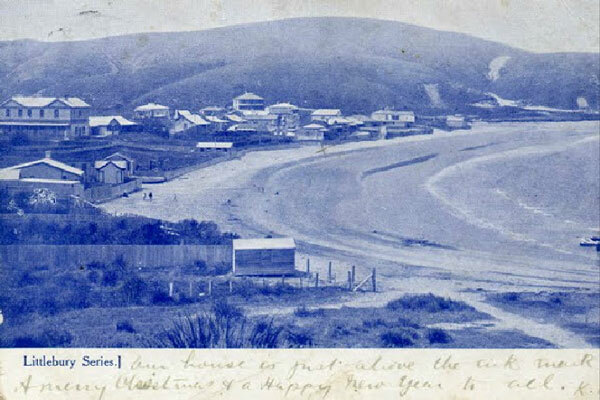 His photograph of the entire Plimmerton School roll in 1926 appears amongst postcards retained. Another prolific publisher was the firm Muir & Moodie who carried their cameras around NZ taking photos everywhere between 1880 and 1914. 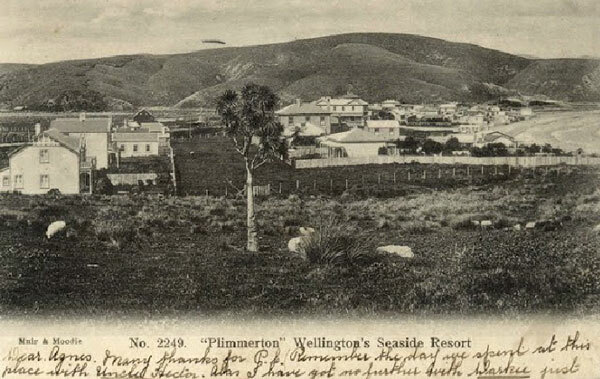 Their photos prior to 1907 illustrate the town and how Plimmerton House was built across the street initially. It was built before cars had been invented and the resort was serviced from both Palmerston North and Wellington by train only. The building was destroyed by fire in 1907. See Muir & Moodie’s photo album. 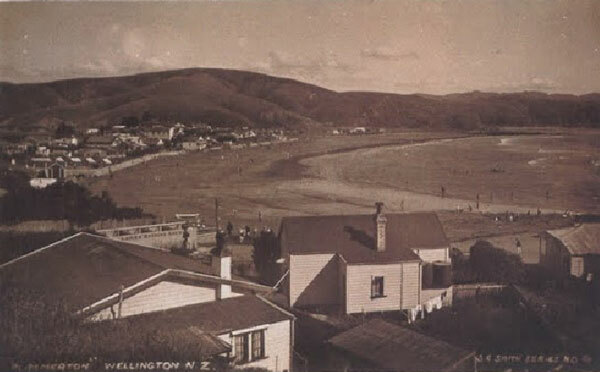 Other shopkeepers who published postcards in the 1920s for visitors to ‘Wellington’s favourite seaside resort’ were Bill Martin at the northern end of the railway station and a Mr. O Tait, bookseller with premises also within the ‘village.’ Without their efforts the recorded history of Plimmerton would be far lessened. Two colourful postcards with the “Cynicus” signature are depicted here. The artist and cartoonist, Martin Anderson (1854 – 1932) from Leuchars, Scotland, founded the Cynicus Publishing Company at Tayport in Fife in around 1907. 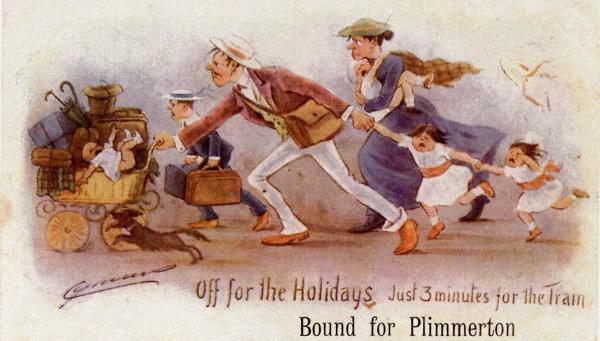 The concept of a comic card with “Last Car From . . .” (or “To”) were issued for many towns throughout Britain. Other publishers copied the joke and issued similar cards. Some versions had trams that were customized to match the town, others had the town name blank so that the sender could write in their own choice. These two were customized for Plimmerton.